FAQs: Answers To The Questions That Crop Up Most. What is The Original Los Angeles Flower Market? Located in the heart of the Los Angeles Flower District, The Original Los Angeles Flower Market is an expansive indoor floral marketplace that’s open to both the trade and the general public. Virtually every in-season, commercially sold variety of cut flower is available here from growers all over the globe. The selection and quality are remarkable. And so are the prices. Especially for wholesalers, resellers and other floral industry professionals. 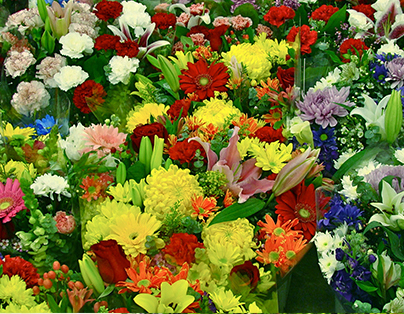 Where is The Original Los Angeles Flower Market located? Convenient to major freeways and minutes away from L.A.’s International Airport and commercial centers, The Original Los Angeles Flower Market provides visitors with one-stop access to world’s finest and freshest floral offerings, accessories, equipment, arrangements and advice. How big is The Original Los Angeles Flower Market? Founded in 1921, and incorporated as The American Florists’ Exchange, Ltd., The Original Los Angeles Flower Market currently encompasses an expansive five-acre area. On a daily basis, about 50 member/vendors display a vast array of fresh floral offerings and accessories. 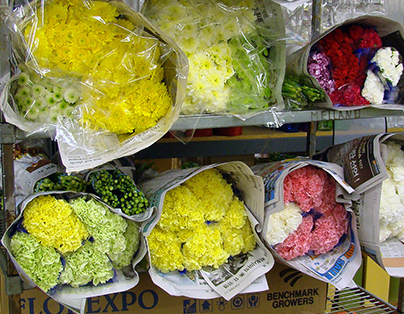 In total, The Original Los Angeles Flower Market includes a 55,000 sq. ft. main sales floor plus dozens of member merchants that lease space in surrounding facilities within the heart of the world-famous Los Angeles Flower District. What is the Los Angeles Flower District? The Los Angeles Flower District includes both The Original Los Angeles Flower Market, The Southern California Flower Market, and approximately 200 adjacent wholesale and retail floral businesses, shops, malls and marts within the surrounding six-block area. Established nearly 100 years ago, the Los Angeles Flower District has grown to become the single largest and most successful wholesale floral district in the entire United States. What is the Los Angeles Flower District “Badge Member” program? When is The Original Los Angeles Flower Market open? Typically, The Original Los Angeles Flower Market is open Monday through Saturday—to both the trade and general public—and closed Sunday. Public Admission is $2 on Weekdays and $1 on Saturday. When visiting us, the most convenient place to park is in the parking structure that’s located above The Original Los Angeles Flower Market building. The entrance to this parking structure is located on the west side of San Julian St., between 7th and 8th Streets. Several inexpensive parking lots can also be found on Wall St., Maple St., 8th St. as well as on San Julian & 7th. Additionally, limited, metered street parking is available. 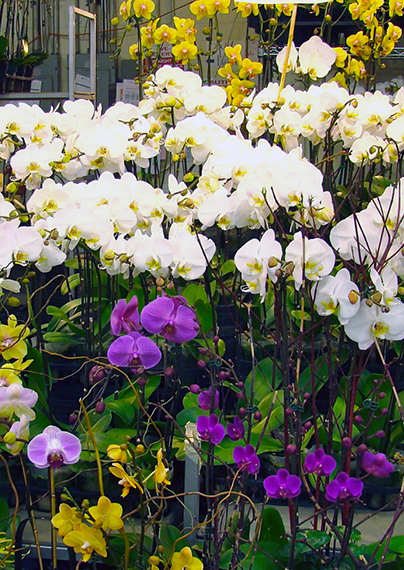 How many people visit The Original LA Flower Market and the LA Flower District annually? As a popular wholesale, commercial and tourist destination, The Original Los Angeles Flower Market and Los Angeles Flower District area collectively logs over 45,000 visits by “Badge Members” who are primarily retail florists, decorators, event planners and other floral industry professionals. In addition, the area also plays host to more than 250,000 consumers a year. What are The Original Los Angeles Flower Market’s busiest days? Typically, Wednesdays and Fridays are the busiest days of the week. On these two days, retail florists, decorators and event planners tend to stock up for their specific needs and weekend orders. Where can I get more information on The Original Los Angeles Flower Market and the Los Angeles Flower District?